We think the SR340 should now be considered the entry level SR roaster, priced at $149. 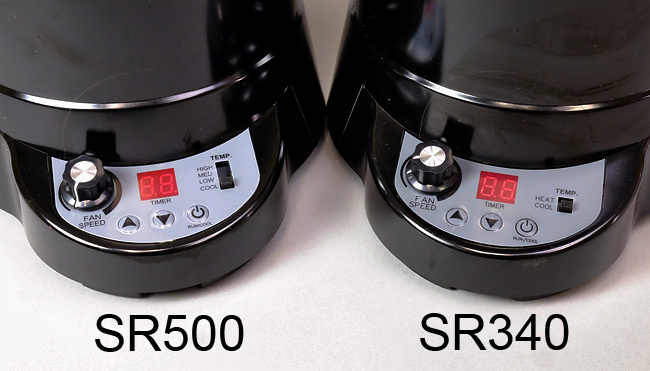 The SR500 at $179 adds a 4 way roasting temperature switch (high, medium, low, off). Both models have timers that are preset to 5.9 minutes and you can increase or decrease time as needed. One of the problems with the original Plus 8, in our opinion, is that it was easy to scorch beans, which happened during the early stages of the roast. The dense beans sat just above the heating element and fan, but the fan wasn't sufficiently powerful to get them airborn. So, they just sat there getting overheated on their underside until they had shed enough water weight to begin moving in the air stream. These new models address the problem with a variable speed base fan more powerful than the Plus 8. The heating element is also considerably more powerful at 1600 watts than the earlier model's 1100. The ability to regulate fan speed, combined with heat intensity, offers some protection against scorching. The manufacturer suggests if beans are particularly dense or high in moisture that you run it with beans in and heat off for a couple of minutes. Likewise, you may want to lower the fan speed toward the end of the roast. The more expensive model gives you more ability to tweak and many roasters will like that. SR500 (left) compared to the discontinued Plus 8 model. Latest SR models roast roughly twice the amount as previous Plus 8, however, the footprint is not much different. 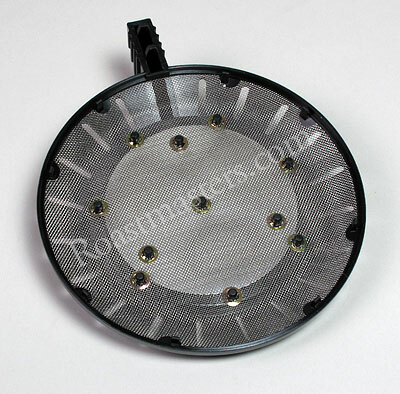 The roasting chamber, really a glass cup fitted within a handle and base, has twice the capacity. Heated air is forced up from a fan in the base, past a heating element, through the coffee bed and out through holes in the lid. Chaff, or the skin that comes off beans during roasting, gets trapped inside the two-part lid and can be easily disposed. Both models are very effective at trapping chaff and users should be certain to empty the collector after each roast. Conclusion: The new SR models from Fresh Roast offer beginner and experienced roasters a good tool for roasting beans enough for a couple of pots. 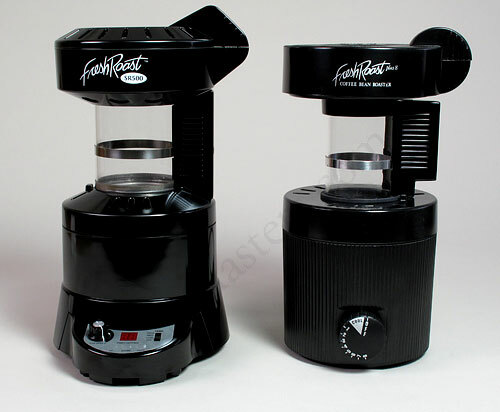 The roaster performs quickly and is capable of the full roasted coffee range from light to dark. It has no smoke suppression nor does anything else close to it in price, but that also makes it possible to do dark roasts. The additional features of the SR500 make it worth the extra investment but the base model will satisfy many.